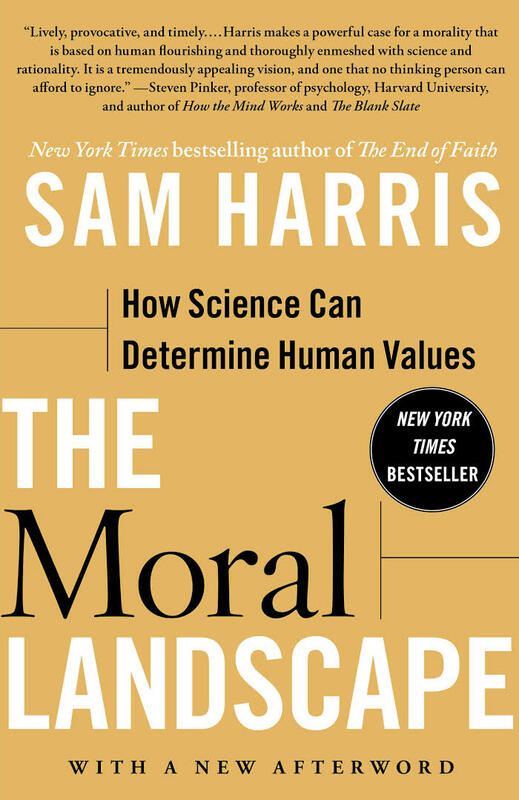 I recently read the first half of The Moral Landscape by Sam Harris. Harris begins with the interesting argument that science (viewed broadly) can provide the basis for determining human values. This would seem to make sense. As Harris points out, "ought to" statements can easily be converted to "is" statements. Instead of saying people shouldn't lie (which sounds like a purely moral statement), we can, after all, make a more scientific statement to the effect that lying compromises our psychological well-being or leads to societal problems. And to his credit, Harris makes the important point that values don't imply that there is one way to live life or organize a society. As he says, there are various "peaks" and "valleys" in the moral landscape, but the existence of multiple ways to the good life (or the opposite) does not preclude the possibility that science can help us determine the path toward greater well-being. Unfortunately, the book doesn't provide a systematic treatment of the topic and instead meanders through various trite discussions about religion and philosophy that aren't very insightful. I was particularly disappointed with the section denying free will. Harris evidently believes that mental states are caused by physical events--a strange notion given his academic background. Any scientist worth her or his mettle would state that the physical and mental are two levels of explanation of the same events. The argument denying free will has always struck me as particularly inane. It's the classical example of a philosopher taking common concepts (choice and responsibility) and defining them in an odd way and then applying the contorted definition back to our everyday understanding. Freedom, after all, is an experience. Whether my free acts happen to be inscribed upon matter and displayed across time in a coherent manner does nothing at all to change the nature of the acts or my experience of them. If we shift to an explanation about ion channels and neural cells firing, we will, of course, find no homunculus in charge, just as we won't see neural cells being activated if we talk with a psychiatric patient sitting on a couch. But Harris is simply muddying the conceptual waters here. I normally would finish a book that entertains such an interesting premise, but I found it to be so silly and mundane that I couldn't force myself to get through it. I can't believe this made the NY Times Bestseller list and received an endorsement from Steven Pinker on the top of the cover.